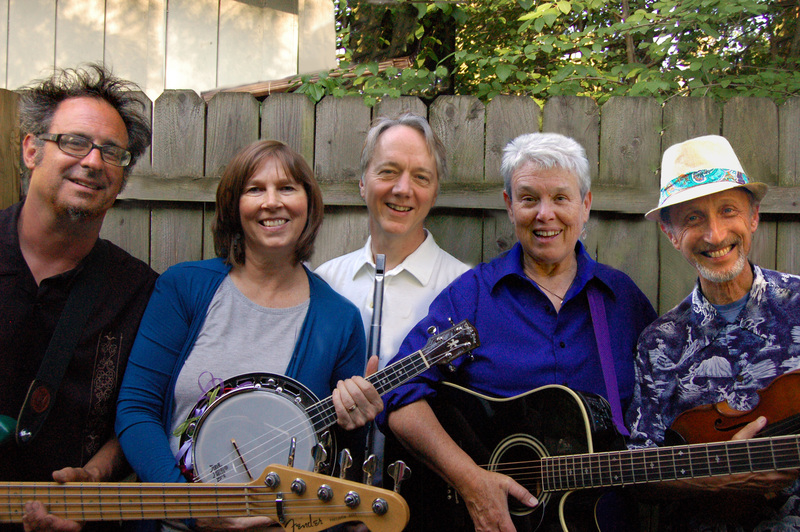 "Harmony Bones" is a quintet of long-time veterans of the Ann Arbor folk music scene. The band consists of Laz Slomovits (of "Gemini") Tom Voiles and Linda Teaman (of "Nutshell"), Jeanne Mackey, and Eric Fithian. Their sound features rich vocal harmonies on traditional, contemporary and original songs, as well as a huge array of folk instruments — guitar, mandolin, flute, pennywhistle, fiddle, accordion, banjo, banjo ukulele, bass, hand percussion — even sitar and Uilleann Pipes! Their collective name, " Harmony Bones," comes from an acupuncture point that harmonizes imbalances and promotes clear thinking, seeing, and hearing!